The Highlander Stakes, always an attractive event, offers some additional enticements this year. There's the new Grade 1 status of the $250,000 six-furlong turf race for 3-year-olds and upward. There's the fact that the Highlander again is a “Win and You're In”Challenge Series event for the Breeders' Cup Turf Sprint, with the winner earning an automatic berth in this year's edition at Churchill Downs. And, to put a little more icing on the cake, Woodbine Entertainment will offer a $15,000 reward to the owner and $10,000 to the trainer of the horse who accumulates the most points in a new three-race turf sprint series with points awarded on a scale of 10-7-5-3-2 for the top five finishers and 1 for all other participants. The Grade 2 Play the King, a seven-furlong race worth $175,000 here August 25, and the Grade 2 Nearctic, offering a purse of $250,000 on October 13, are the other events. Trainer Brad Cox was here last year to watch Green Mask win the Highlander only to suffer a career-ending injury while having dead aim on the Breeders' Cup Sprint at Del Mar. Cox will be back this year with Long On Value, who is coming off a sharp score when making his local seasonal bow in the $69,711 Mighty Beau over five furlongs of turf at Churchill Downs. That start was the first for Long On Value for Cox and owners Madaket Stables, Ten Strike Racing and Steve Lamont. The 7-year-old horse, campaigned since 2013 by trainer Bill Mott, had been entered in a horses of racing age sale and sold for $100,000 at Keeneland last November. Cox's first move with move is new acquisition was to give him some time off. “We thought we'd basically give him the winter off, because there's not a lot of options out there as far as races for those type of horses, and we'd start him back in the spring,” said the trainer. And that decision paid immediate dividends as Long On Value returned breathing fire in Louisville. In a previous trip to Woodbine and his final start prior to the sale, Long On Value had finished a very troubled third in the Grade 1 Ricoh Woodbine Mile. 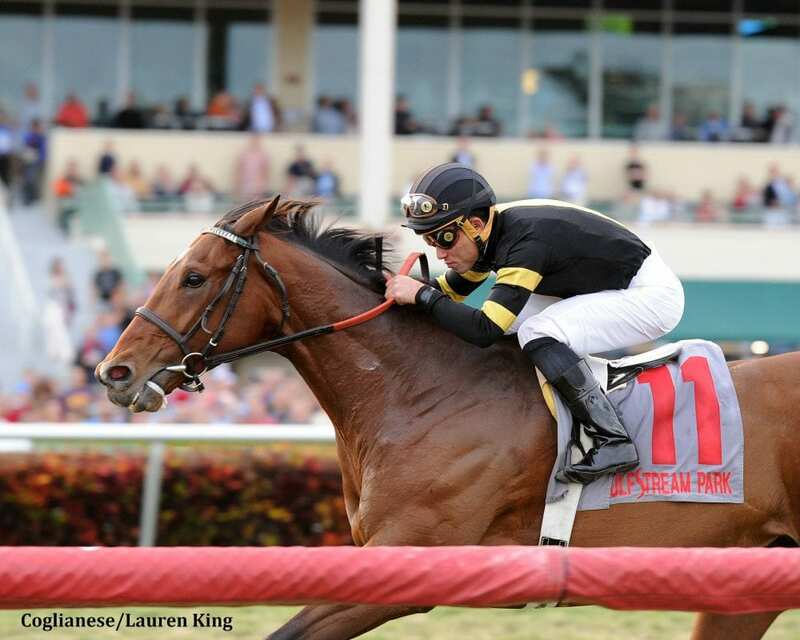 Holding Gold, a 5-year-old gelding conditioned by Mark Casse, has come a long way since he finished second in his E.P. Taylor course debut two years back, keeping elite company on the grass through his more recent campaigns. A closing sort, Holding Gold has been compromised by difficult trips on more than one occasion and comes into the Highlander off a wide fourth-place finish in Belmont's Grade 2 Jaipur at six furlongs. “He ran well at Belmont,” said Casse, who conditions the homebred Holding Gold for Live Oak Plantation. Three-quarters is a little short for him, when we run him on a short-turn course. Lady Alexandra and Belvoir Bay will tackle the boys as they make their first local starts in the Highlander. Lady Alexandra made her first appearance for trainer Graham Motion in the $100,000 License Fee at Belmont on April 29, which stands as her last start. “She ran the one time this year, and won pretty nicely, going the same distance,” said Motion, who trains Lady Alexandra for Heider Family Stable's LLC. Slated to return in the Jaipur, Lady Alexandra was a late scratch. “Her blood work was not right, but she never really missed any training,” said Motion. Belvoir Bay, invading from California, is riding the crest of a three-race win streak on Santa Anita's 6 ½-furlong Hillside turf course. Trained by Peter Miller for Team Valor International and Gary Barber, Belvoir Bay defeated males on April 29 in the Grade 3 San Simeon and was back with her own sort when capturing the Grade 2 Monrovia in her last start May 28. Imprimis hasn't made a wrong move in four career starts, all over five furlongs of turf with his latest a romping 5 ¼ length score in the listed Turf Sprint at Pimlico on May 18. The 4-year-old gelding's winning touch merits much respect despite his unfamiliarity with the distance and long stretch run. Corinthia Knight, a 3-year-old Irish-bred based in Lambourn, England, adds intrigue to the Highlander lineup. After rattling off four straight wins on synthetic surfaces to begin his current campaign, Corinthia Knight crossed the channel for the second time but wound up ninth as the choice in the Group 3 Prix Texanita at about 5 1/2 furlongs on the turf. “France was a bit of a disaster,” said Archie Watson, who conditions Corinthia Knight for Ontoawinner and Partner. “We took him over and the ground was slated to be good to firm but they watered and it was quite sticky ground really. He obviously has very good form on the All Weather but on the turf, he wants it firm. Axtell was winning a first-level allowance over six furlongs of turf at Belmont last out but broke the track record with a 1:06.78 clocking. That record has since been lowered to 1:06.74. Rounding out the fields will be locals Abbaa, Boreal Spirit, and Ikerrin Road, all of whom will be longshots. This entry was posted in Breeders' Cup and tagged belvoir bay, brad cox, highlander stakes, holding gold, lady alexandra, Long on Value, Mark Casse, woodbine by Keith McCalmont/NYRA. Bookmark the permalink.